← Amat penting membina jenama perniagaan! Kenapa warna di cetak oleh printer tidak sama seperti warna di skrin komputer atau phone? While there are many possible reasons the screen and output don’t match, or that the printed colors are off, two common, but often overlooked, causes are printer calibration and paper type. I like to begin with this anecdote: When you walk into a major electronics store, they have dozens of flat screen TVs displayed on the wall, all playing the same video. If you stand there and look at the images on the different screens, you’re going to notice the picture looks slightly different on each one. Brighter whites or deeper blacks, warmer or cooler tones, less or more contrast, etc. Every TV varies because of screen type, contrast ratio, color calibration, the room’s lighting and even the data transmission hardware. Your monitor is like the TVs. Screen type, computer type, application version, calibration settings, color profiles, driver types, and so on all have an impact on the display color and the printer output color. Here are two causes and solutions you can try yourself before calling your service technician for advanced support. A monitor starts in a black state and is illuminated with RGB (red, green and blue) to produce colors. Copiers and printers start with white paper and add CMYK (cyan, magenta, yellow and black) toner or ink to produce colors. Each can produce its own gamut of colors, some of which the other simply cannot reproduce. The printer attempts to match a color it does not understand by using its software to calculate a best guess. The result can often be more “guess” than “best,” printing colors that are just plain off. If that is a heavily used color in your document, you’re probably not going to like the results. Your printer does not print the colors as you see them on your monitor. The picture looks great on the monitor, but does not print true to the screen. This is absolutely true. You will never get a perfect match because the image on the screen and the image kicked out of your printer are two different beasts. Your screen’s pixels are emitted light. Your printer simply can’t print light. It uses dyes and pigments to replicate the colors. Your monitor is composed of pixels and each pixel can display over 16 million colors. These colors are in what is called the RGB Gamut which, in very simple terms, is composed of all of the colors in light. Your printer can only reproduce around a few thousand colors thanks to the principle of absorption and reflection. Again, in simple terms, the pigments and dyes absorb the light colors that aren’t used and reflect back to you the CMYK combination that closely approximates the actual color. In all cases, the printed result is always a bit darker than the screen image. If you are new to this topic the above advice might seem a bit convoluted. The bottom line is the number of colors available in a particular Color Space. Color printers such as the Inkjet printer in your office have Cyan, Magenta, Yellow and Black cartridges. These are the traditional printing inks and the color is made by combining those four colors. With ink, the number of colors that can be produced fall ,roughly, into a maximum of a couple thousand distinct colors. If you draw a circle on a sheet of paper and put a black dot in the middle of that circle you will get a good idea of why colors change. The sheet of paper represents all of the colors – visible and invisible – infrared, ultraviolet, x-rays – known to modern man. 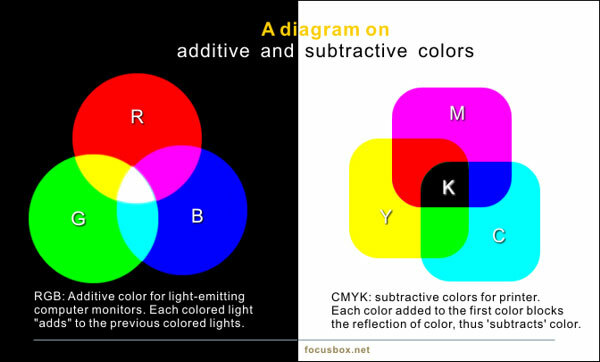 That circle represents the RGB gamut and, if you draw another circle inside the RGB circle you have your CMYK gamut. If you move from a corner of that sheet of paper to the dot, in the middle that indicates how color moves from invisible to a black hole which is the dot.The other thing you will notice is that as you move towards the dot, colors get darker. If you choose a red in the RGB color space and move it to the CMYK color space the red will darken. Thus RGB colors output as CMYK colors are pulled to their nearest CMYK equivalent which is always darker. So why does your printer output not match your screen? Simple. You can’t print light. If you are printing at home on a desktop printer, it is not necessary to convert your photos and graphics to CMYK color mode before printing. All desktop printers handle this conversion for you. The explanation above is intended for those doing 4-color process printing on a printing press. However, you now know why you will generally never get a perfect match between on-screen color and printed color. Your paper and ink selections can also have an enormous impact on how true colors reproduce in print. 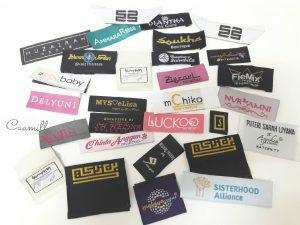 Finding the perfect combination of printer settings, paper, and ink can take some experimentation, but using the printer and ink suggested by the printer manufacturer often provides the best results. Most graphics software has a setting for color management but , if you let the software do the work, you will still get good results results by simply turning color management off. Color management is primarily intended for people in a pre-press environment. Not everyone needs it. If you’re not doing professional printing, first try working without color management before you assume you need it.